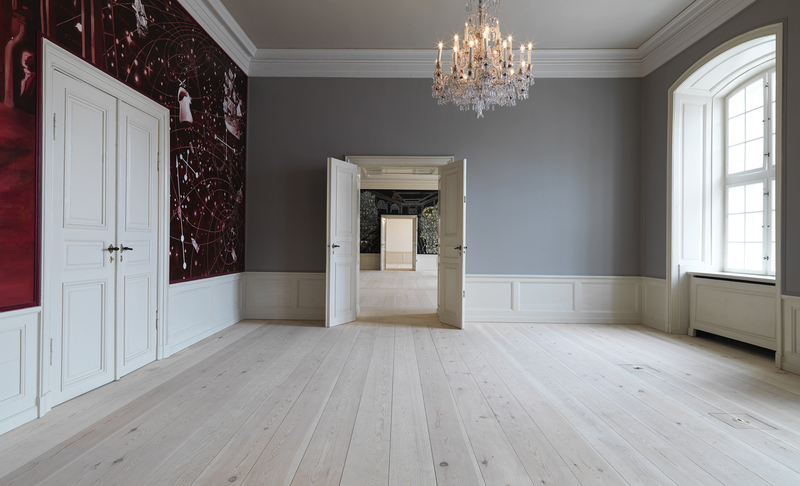 These incredible pine planks were installed in Amalienborg Castle in Copenhagen during a 5 year restoration project. Dinesen, a fouth generation wood flooring company founded in the small Danish town of Jels in 1898, crafted the planks seen here. Single room length planks fashioned from pine grace the Amalienborg Castle in Copenhagen. See the full story on this project here. Those planks look to be 20++ feet long. Amazing.